I have had this box of 35mm slides sitting in the loft for years. I now want them on a format that allows me to view them on my computer or TV. I want to try Converting slides to digital myself! If you wish to scan your 35mm slides yourself you have several options. These options are as follows. Flatbed scanner. Epson make flatbed scanners which with the use of an adaptor give you the ability of converting slides to digital. This process can be a bit fiddly when loading the sides into the adapter. The Image quality of these flatbed scanners is good. However they can not hope to match the stunning quality of a professional slide scanner. Picture above of our professional slide scanner. Dedicated slide scanners. These scanners are made for scanning 35mm slides only. They have a much higher DPI for slide scanning. Software tends to be of a higher specification. ICE software. Provides a cleaning function that reduces dirt and scratches on your slides. Converting slides to digital. As you can imagine these dedicated scanners are very expensive. Let us convert your slides. I still shoot 35mm Fuji Velvia slide film using a Nikon F100. We have invested in these expensive machines to provide the ultimate slide transfer service.. Whether you wish to have the final slides copy to DVD or computer files we can provide a professional Converting slides to digital service. Video Image Productions. Provide a variety of digital storage choices for your scans. USB flash memory. Hard drive, Data DVD, CD, DVD,Blu-Ray. 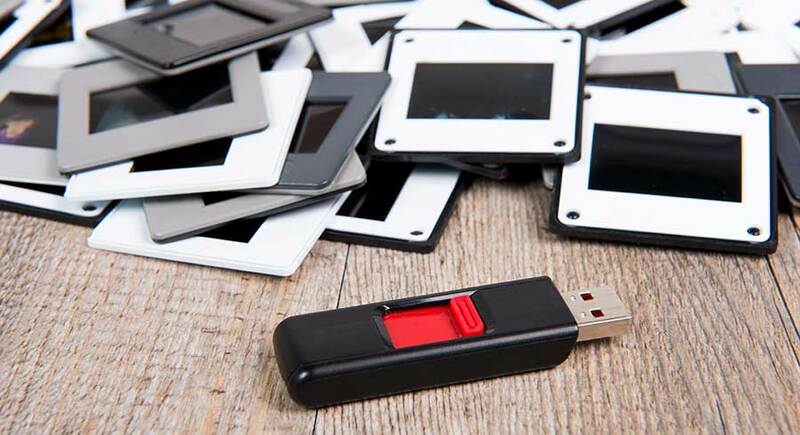 Digital files transfer over the Internet. For more Information on our converting slides to digital service. Please follow the link below.